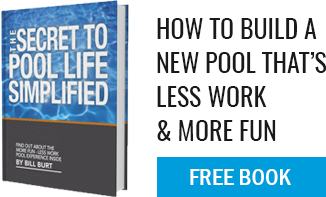 Would adding a spa increase my pool season? YES! We find that an attached spa will increase usage of BOTH the pool AND the spa by as much as 500%. People go from spa to pool and back and forth. They use the spa on the “less than perfect” days, maybe getting warm enough to enter the pool then go back to the spa when body temperatures lower. Our clients will open the pool early in the season, keep it open late in the fall, and use both more BECAUSE they are attached.